Digital Nomads has extensive experience of organising events and training. We also design and deliver bespoke training and thought leadership events for individual organisations in the public and private sectors, including start-ups and SME’s. Clients have included Fife Council, where we delivered training supporting their ‘Think Flexible’ transformation programme, and Waitrose (John Lewis Partnership) where we contributed to a Retail Operations support review. We have also trained West Midlands Employers, Bingley Town Council and Windhill Community Centre, as well as numerous SME clients, on WordPress website management. In recent years we’ve been involved with the LocalGovCamp Unconference movement. We organised the LocalGovCamp Yorkshire & Humber and LocalgovCamp North West conferences. We have adapted the very popular unconference format and applied the approach to other events including, “All Change – New Horizons for Local Government,” the annual Improvement & Efficiency West Midlands conference and one day events on dementia and on personalisation. In 2014 we provided events management services to Bradford Council and Tour de France Limited, delivering a Grand Depart spectator event at Haworth. 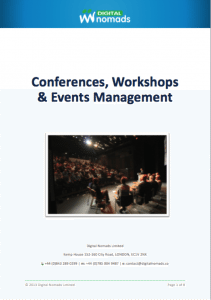 We are happy to design and deliver bespoke training, conferences, seminars and events. To discuss individual requirements please get in touch.